As a North York optometrist, Dr. Yudin provides patients with a wide range of eye and visual health testing and treatment options. Whether you’re bringing in your child for their first eye test or you need a new lens prescription for yourself, you’ll find what you need at our office. We also carry a wide range of designer eyewear frames, as well as specialty sports glasses, safety glasses and sunglasses. Availible with or without perscription lenses. In addition to standard and comprehensive eye exams, we also offer a number of specific procedures to help identify conditions and maximize your visual health. Increased eye pressure can be an indication of glaucoma, and being tested for this can help you catch the condition early and take action right away. While high eye pressure alone does not cause glaucoma, increased levels can indicate that you may develop the condition later in life. Damage and vision loss caused by glaucoma cannot be reversed, so having your eyes examined regularly is crucial to maintaining your visual health. These specialized cameras allow us to take a photograph of different layers of your eye, and using different filters allows for a range of different eye tests. These images can help us detect or track the progression of a range of eye conditions, including vision loss caused by diabetes, glaucoma or macular degeneration. Cataracts is a condition where the lens of your eye becomes progressively opaque, causing blurred vision. They are most commonly caused by aging, but can also occur due to trauma, radiation exposure or a birth defect. Cataracts can be surgically removed, but there are still steps you can take to slow their progression in the meantime. Macular degeneration, like cataracts, can result in blurred or lost vision, but this condition specifically targets the centre of the visual field. Macular degeneration can be diagnosed through a complete eye exam, and catching it early is crucial as there is currently no known treatment to restore vision already lost to this condition. Low vision examinations are performed to determine whether special low vision optical devices, better lighting or other types of training can help the patient with low vision use their functional vision more effectively. Your optometrist can inform you on a number of different things related to your condition, including whether or not you will lose more sight in the future, if regular glasses can help and if you are entitled to special services or benefits. Our clinic is equipped with specialized equipment, including Eschenbach and Ocutech telescopes, as well as magnifiers and high-quality video magnifiers. A visual field test is a type of eye examination that can detect issues with a person’s central and peripheral vision. This can be caused by a variety of medical conditions, including glaucoma, stroke, brain tumours or other neurological defects. Our clinic is equipped with specialized equipment to provide clients with a comprehensive visual field test. This includes the use of a slit lamp with a digital camera for examination of the anterior (front) of the eye (eyelids, cornea, conjunctiva, iris, crystalline lens, or cataract) and the posterior of the eye (retina). Corneal pachymetry is the process of measuring the thickness of the cornea using a piece of specialized equipment known as a pachymeter. These procedures are important to patients who may require surgery on their corneas as it provides the surgeon with more detailed information prior to the surgery. The test results can also be used to identify glaucoma in its early stages. We also offer comprehensive contact lens fitting services. This is crucial to ensuring that you receive not only the best corrective vision from your contacts, but also to help ensure optimal ocular health. 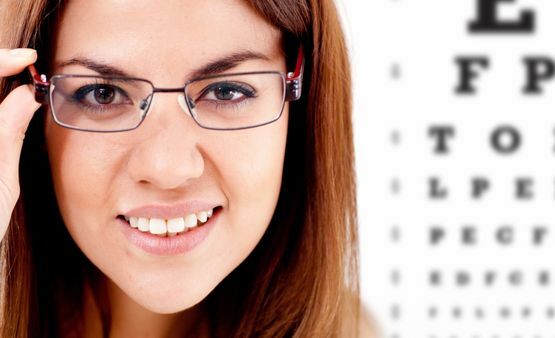 Whether you’re coming in for an eye exam or to pick out new glasses, we look forward to helping you see clearly again.